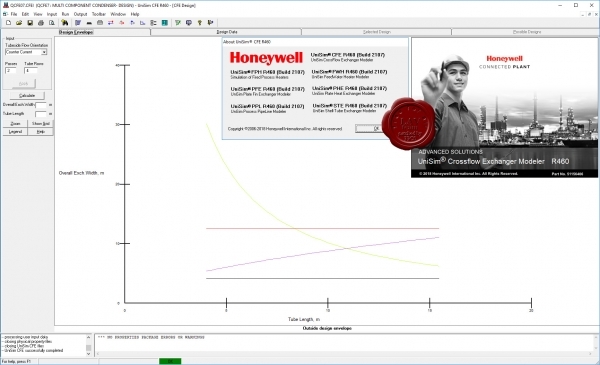 Honeywell UniSim Heat Exchangers are validated programs designed for use by the process design community for the thermal design and simulation of heat exchange equipment. They offer a high level of confidence in predicting heat transfer and fluid flow characteristics in single- and two-phase flow, including considerations such as flow stability and maldistribution, and provide comprehensive fluid property predictions to support these. The software is easy to use, with a comprehensive and flexible graphical user interface. The programs are accompanied by detailed documentation and online help. Companies licensing UniSim Heat Exchangers software directly from HTRI receive support from our highly regarded technical support team. The programs can readily exchange information with Honeywell’s UniSim Design process simulator, HTRI Xchanger Suite and other third-party and in-house software to provide a powerful, integrated, design-office solution.